September is around the corner, and our favorite outdoor fund-raisers for animals are coming soon. Take down these dates to join the Greater Seattle community as we muse in our love of animals. On Sept. 7, 21 and 22, you can walk or dine to help dogs, cats, farm animals and wild animals — simply pick your event or perhaps events! On the morning of Sept. 7, you and your dog may wish to take the bus to Marymoor Park in Redmond, Wash., for the Progressive Animal Welfare Society’s PAWSwalk. This annual fund-raiser supports the work of PAWS Companion Animal Shelter and PAWS Wildlife Center. Their joint facility in Lynnwood, Wash., is designated to receive wild animals for rehabilitation and release, and they find homes for more than 3,000 cats and dogs per year. PAWSwalk registration opens at 8 a.m., and the walk starts at 10 a.m. Snacks of vegan and vegetarian food will be available for purchase, and a beer garden and mimosa garden open at 11 a.m. If you register for PAWSwalk early, you can start or join a fund-raising team. Kara Gerhert, a volunteer at PAWS Cat City adoption center in Seattle’s Roosevelt neighborhood, serves as team captain for the Cat City Bobcats. 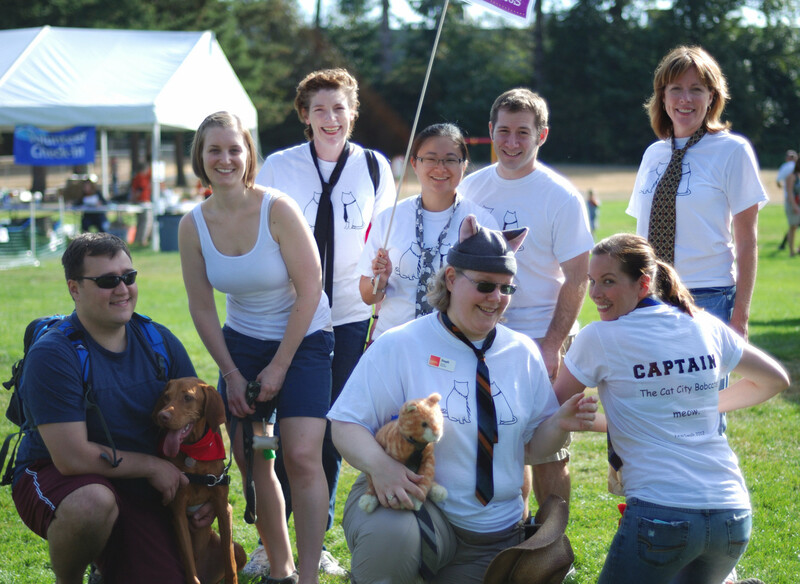 Their team is one of PAWSwalk’s top fund-raising teams, but they are looking for more team members. Gerhert explained that her team is named for the “Bobcats” comic written by Seattle resident and author of “The Oatmeal,” Matthew Inman; hence, the Oatmeal Bobcats logo on its fundraising page. To donate or join a fund-raising team, visit http://www.pawswalk.net. 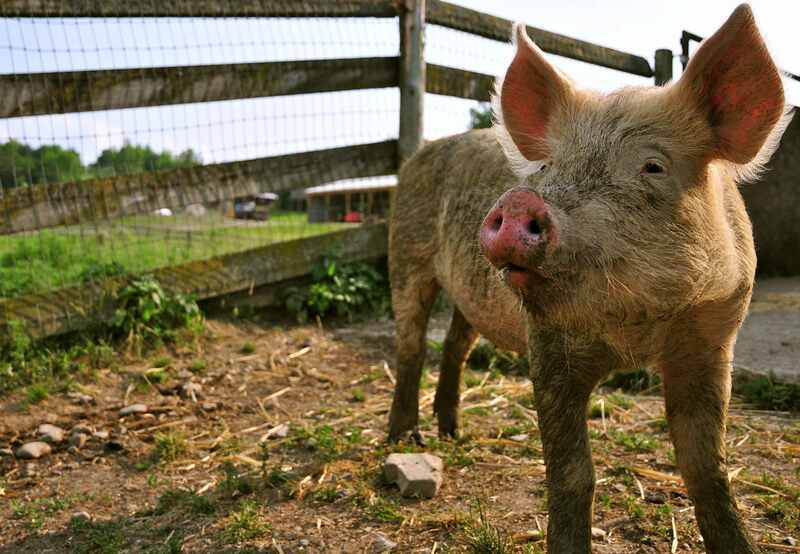 Sept. 21 is Seattle’s Walk for Farm Animals at Green Lake Park. This event is a fund-raiser for Farm Sanctuary, an organization providing rescue and sanctuary for abused farm animals and educating the public on the atrocities of factory farming. Accompany your dog for a walk around the lake and, afterward, gather at the Green Lake Community Center (7201 E. Green Lake Drive N.), where local vegan and vegetarian restaurants — including Araya’s Vegetarian Place, Pizza Pi and Veggie Grill — will offer their specialties. Ben Greene, co-author of “The Vegan Athlete: Maximizing Your Health and Fitness While Maintaining a Compassionate Lifestyle,” will be a guest speaker, and local pianist Gary Finkelstein will perform. There will even be vegan dog treats from Pike Place Market proprietor and Adventure Days owner Melody Price. Price will offer four flavors of “nuggets,” including fruit, calming (lavender), peanut butter and breath (with parsley). Seattle’s Walk for Farm Animals is held from noon to 3 p.m. Visit walkforfarmanimals.org to register. Veggie Grill is also hosting a pre-walk fund-raiser at its South Lake Union location on Sept. 7, from 11 a.m. to 5 p.m., and it will donate 50 percent of proceeds from your meal when you mention the fund-raiser for Farm Sanctuary. Veggie Grill is a Los Angeles business transplant that offers focuses on giving back to the community. “We love to work with local nonprofits, especially those aligned with our values,” said Keith Treiman, general manager for the South Lake Union restaurant. Treiman said the restaurant has also had fund-raisers for the American Heart Association and the Special Olympics of Washington. 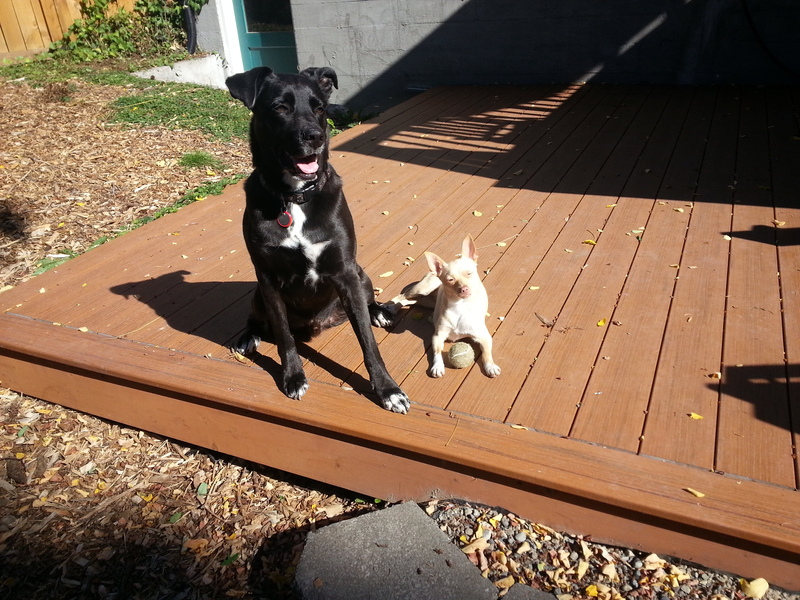 On Sept. 22, University Village hosts Seattle Humane Society’s (SHS) Walk for the Animals and FidoFEST. This annual fund-raising event supports SHS’ mission to provide medical care, shelter and loving homes for homeless dogs and cats and offer pet spay/neuter programs for low-income residents. SHS also provides an extensive program of dog-training classes, including Puppy Head Start, Canine Good Citizen and Doga: Yoga with Your Dog. SHS even holds Kitten Kindergarten. The SHS Walk for the Animals starts at 10 a.m. (registration at 9 a.m.), with walkers heading south through the Union Bay Natural Area trails. Bring your dog, because FidoFEST is after the walk. This event features a “Top Dog” contest. The entry fee is $10, and you can sign up during on-line registration or the day of the event. The winning dog will be featured on SHS’ promotional materials in the coming year, but competition could be tight, with more than 1,000 dogs expected to attend. If you register early for the Walk for the Animals, you can develop your own fund-raising page on the SHS website and raise funds ahead of the walk. Visit http://www.seattlehumane.org/walk to get started. The hardworking staff and volunteers of our local animal organizations like PAWS, Farm Sanctuary and Seattle Humane Society do much of the animal advocacy, rescue and adoption services in Seattle. However, people may not realize that these organizations depend almost entirely on fund-raising events and donations from citizens like you and me. I can’t think of a better way to spend a September weekend than a walk around the park and a chance to share good food and great company with Seattle’s vast community of animal supporters. 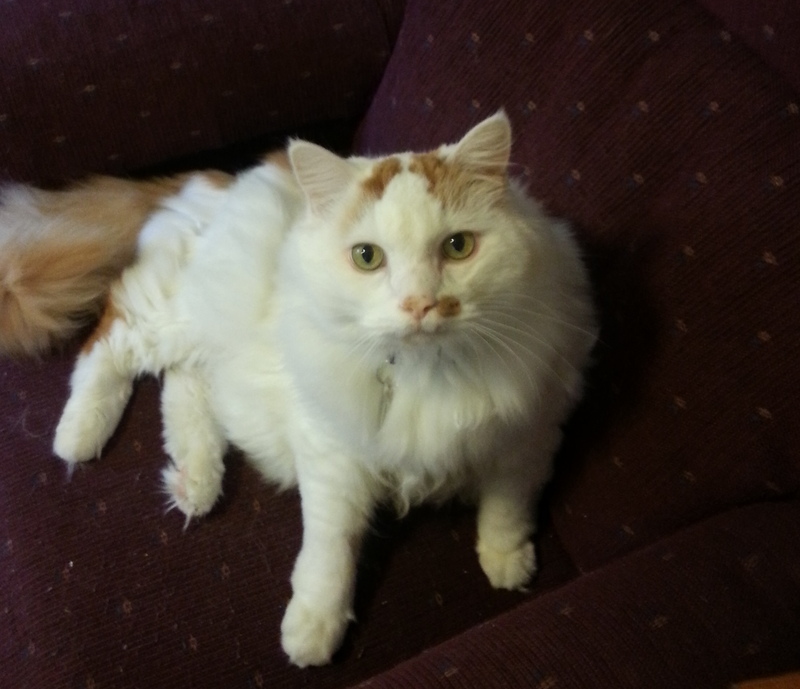 CHRISTIE LAGALLY writes the blog “Sniffing Out Home: A Search for Animal Welfare Solutions” at http://www.sniffingouthome.org. She also hosts the new “Living Humane” radio talk show on KKNW 1150AM. To comment on this column, write to CityLivingEditor@nwlink.com.